Your body looks younger for longer. 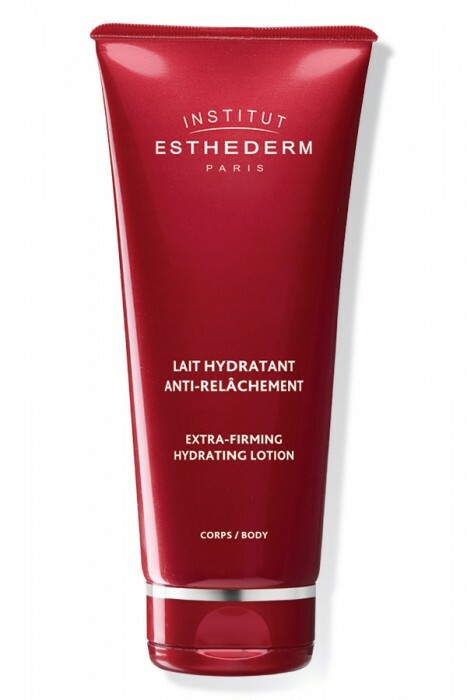 The Extra-Firming Hydrating Lotion visibly firms the skin day after day, with lasting effects. Soft texture that’s absorbed so quickly you can get dressed immediately after applying it. Prevents sagging of the skin due to age or occasional stress (pregnancy, weight loss). Restores the firmness and elasticity of tissue. For sagging, tired, dry, dehydrated and irritated skin. Restores the skin’s firmness and elasticity. The figure is remodelled. AQUA/WATER/EAU*, MINERAL OIL (PARAFFINUM LIQUIDUM), GLYCERIN, CETEARYL ISONONANOATE, GLYCERYL STEARATE, PEG-100 STEARATE, MYRETH-3 MYRISTATE, STEARETH-21, CYPERUS ESCULENTUS TUBER EXTRACT, METHYLSILANOL MANNURONATE, PISUM SATIVUM (PEA) EXTRACT, CREATINE, SUPEROXIDE DISMUTASE, CARNOSINE, ALGAE EXTRACT, DISODIUM ADENOSINE TRIPHOSPHATE, CYCLOPENTASILOXANE, CYCLOHEXASILOXANE, CETYL ALCOHOL, PALMITIC ACID, STEARIC ACID, ACRYLATES/C10-30 ALKYL ACRYLATE CROSSPOLYMER, TRIETHANOLAMINE, CARBOMER, PROPYLENE GLYCOL, PHENOXYETHANOL, CHLORPHENESIN, DISODIUM EDTA, FRAGRANCE (PARFUM). [ES6316] *CELLULAR WATER (AQUA/DISODIUM ADENOSINE TRIPHOSPHATE/CARNOSINE /MINERAL SALTS).